Town Manager Rhonda Irish, center, accepting a painting from FOWL President Rob Lively. 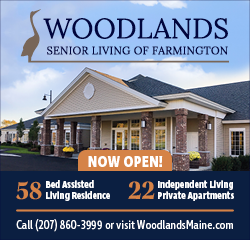 At left is Jen Jespersen, President of the Maine Lakes Society. Everyone is invited to view the painting at the Town Office. WILTON - Friends of Wilson Lake is very pleased to be named the 2018 Lake Association of the Year by the Maine Lakes Society. “FOWL stood out among the many highly successful lake associations across the state for the recent work they've completed to protect Wilson Lake," Jen Jespersen, president of Maine Lakes Society, said as part of a prepared statement. "FOWL is a leader in lake protection, living up to their mission, and inspiring other lake associations across the state to be proactive in protecting our valuable freshwater resources." According to Jespersen, FOWL's efforts include conducting a watershed survey for three watersheds in Wilton, developing a Watershed Protection Plan, running a successful LakeSmart program and engaging the community in lake education activities. FOWL also obtained a $70,000 federal grant to work with the town and landowners to reduce the amount of runoff getting into Wilson Lake. The award included a painting by the Farmington artist, Lucia Swallow. 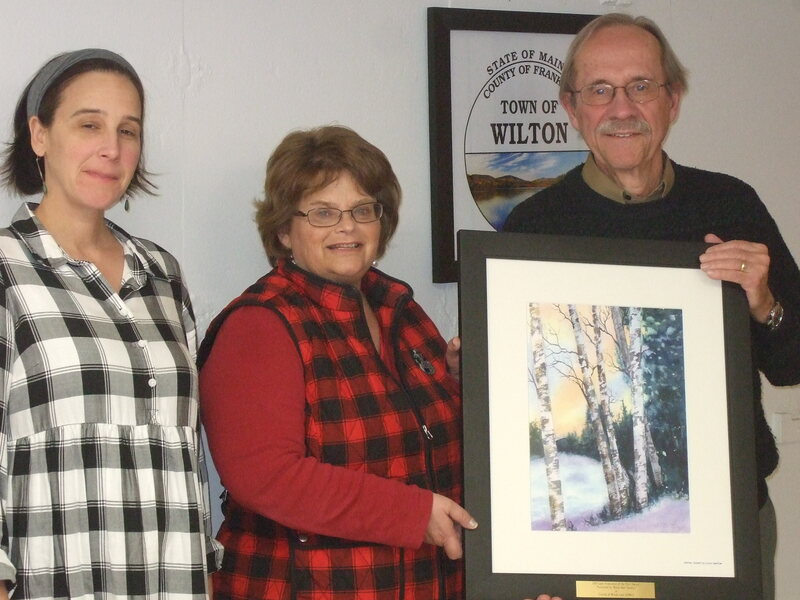 In recognition of the close relationship between FOWL and the Town of Wilton, the painting is displayed at the Wilton Town Office. FOWL has approximately 300 members and is dedicated to preserving the quality of Wilson Lake and its watershed. Their website can be found at: http://www.friendsofwilsonlake.org.